A nation is the universality of citizens speaking the same tongue. I had thought to evoke the soul of Italy but all I find before me is its corpse. 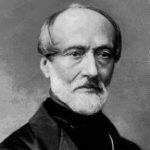 Giuseppe Mazzini was born in Genoa, Italy. He was an Italian journalist, lawyer, philosopher, writer, and political activist for the unification of Italy and spearheaded the Italian revolutionary movement. His efforts helped bring about the independent and unified Italy in place of the several separate states, many dominated by foreign powers, that existed until the 19th century. He also helped define the modern European movement for popular democracy in a republican state. He wrote several books include: The Duties Of Man, Joseph Mazzini, A Cosmopolitanism of Nations, and Royalty And Republicanism In Italy. He graduated in law in 1826, and initially practiced as a "poor man's lawyer".